You are here : Home \\ Short Sale Articles \\ New Oakland Short Sale Listing! New Oakland Short Sale Listing! New Oakland short sale listing courtesy of East Bay Short Sale Group! This 2 story condo located at 2323 Magnolia St. Unit #9 was part of a prior warehouse to residential units conversion. 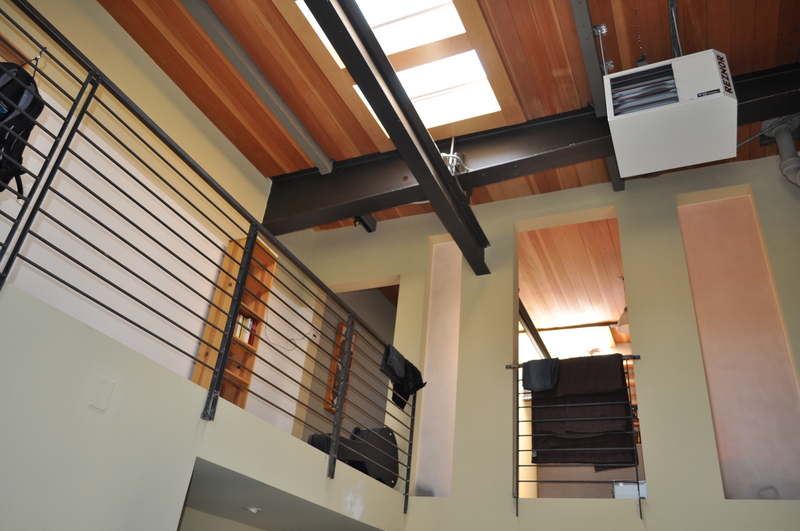 There were 12 units built, all with soaring ceilings, steel beams, multiple skylights in an industrial/eclectic style. This unit has 1 bedroom and 2 full baths, and according to public records measures 1268sq ft. This Oakland short sale condo includes 1 full bath, kitchen, laundry and living area downstairs, and 1 full bath, and master bedroom, and 2 additional multi-use rooms on the 2nd floor. Also included is an attached shared enclosed garage, 1 spot assigned. The community is gated and is conveniently located right off of West Grand Ave. This unit would be perfect for the real estate investor! Points of interest in Oakland, CA are the Oakland Zoo, Jack London Square, Lake Merritt , and Chabot Space and Science Center. This Oakland short sale is located near both the I-880 and I-580 freeways, near Oakland BART and public transportation. Oakland has one of the largest ports in the US and is the 3rd largest city in the Bay Area. Largest employers include Alameda County, Wells Fargo, and Kaiser Permanente Health Care. If you are interested in learning more about this Oakland short sale or scheduling a showing, please contact your real estate agent to arrange a time for viewing. If you do not have a real estate agent, contact us and we can schedule a showing for you. We can also let you know what else is available in the area that may fit your liking. If you are a homeowner looking to sell your home and owe more than the current value, please contact us for a free short sale consultation. We help homeowners who are upside down in both Alameda and Contra Costa counties and can help you sell your home as a short sale. Thanks for your interest in this Oakland short sale! Previous post: Just Listed – San Leandro Short Sale! Next post: Short Sale Success in Livermore! Navigation: Weblog / Blog article: New Oakland Short Sale Listing!